We work closely with scaffolding companies to ensure a safe working environment for all of our commercial painting projects. We actively strive to carry out our projects in the most efficient and cost effective way for the project and our clients. 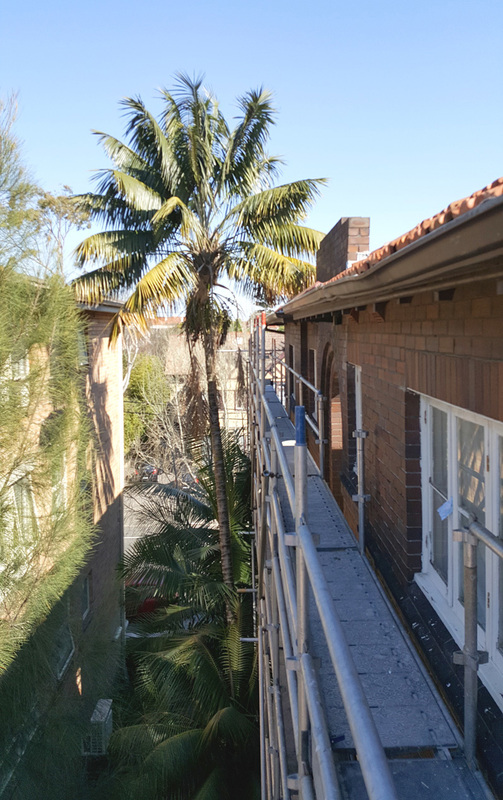 Three stories up for an Art Deco restoration in Glebe, not a problem! All these timber windows need is the right preparation and they'll be good for to go. Getting them all working properly is the hardest and most important part. Now lets just hope this good weather holds! We can't wait to share the finished result of this project with you.